There is no denying the Xbox backward compatibility program has been a huge success. Yet, recently the program has been somewhat quiet. We haven’t seen much activity for several weeks now but that all changed today. After a bit of a wait, another batch of backward compatible games are now available to play on Xbox One. Included in this latest round are Street Fighter IV, Luxor 2, Poker Smash, and Madballs Babo: Invasion. Not too shabby at all! 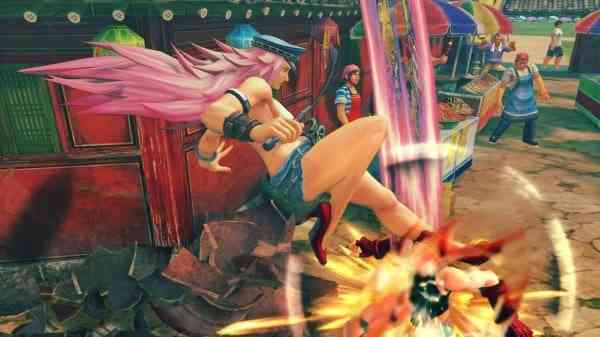 Street Fighter IV is the most popular game on the list and should be a welcome addition for fighter fans. If you’re familiar with the franchise, there won’t be any surprises here: the likes of Ryu, Chun-Li and Ken are here with a dedicated arcade mode to boot. The other 3 titles are much more minor entries on the list. Luxor 2 is a puzzle game in which you destroy colored balls to take on Egyptian god Set. Poker Smash, on the other hand, is an interesting arcade-like take on poker with 7 different game modes. Finally, Madballs: Babo Invasion looks like a violent little top-down shooter in which you take on dozens of different game modes as an armored sphere character, attempting to kill as many enemies as possible. If you already own any of these games, you should be able to start playing them on your Xbox One now.